Kara Zor-El isn’t a spy or an assassin. I mention that only because it’s remarkably hard to find a female character in our current crop of onscreen superhero properties who isn’t one (or both) of those things. Black Widow, Gamora, Mystique, the ladies of S.H.I.E.L.D., and even Peggy Carter all share a certain cutthroat, competent DNA that’s refreshingly absent from Kara’s alien blood. Instead she’s earnest, inexperienced, and eager. And most importantly—she loves being a superhero. As Tim O’Neil points out in his pre-air review, Supergirl wouldn’t work nearly as well as it does without the radiant turn from its star Melissa Benoist, best known for her time on Glee and a bit role in Whiplash. Much as Supergirl carries a plane on her back, Benoist singlehandedly elevates this show with a performance that’s bubbly and bright with a core of inner strength that keeps Kara from feeling like she belongs in that SNL Black Widow rom com. And that’s important because the premiere around her is overstuffed, rushed, and disjointed. Or as Stefon would say, this pilot has everything: A Kryptonian exposition dump, a media empire (in print and online! ), a secret government organization, dozens of character introductions, two potential love interests, a complicated sister dynamic, a costume/crime-fighting montage, a crashed space prison, a misogynistic villain, and a tag that introduces the series’ Big Bad who just happens to be an evil twin. Not to mention that by my count Kara rejects, accepts, rejects, and then accepts her powers again all within the span of 45 minutes. Thankfully a lot of this episode’s weaknesses are obligations of a genre pilot and thus aren’t likely to be a recurring problem. The Flash—co-creator Greg Berlanti’s other superhero series alongside Arrow and the upcoming Legends Of Tomorrow—similarly had an overstuffed pilot and it went on to become one of the most unabashedly fun shows on TV. 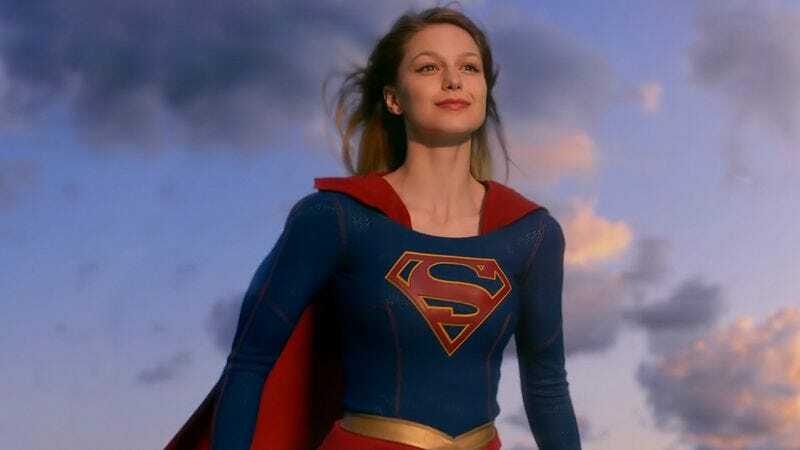 While Supergirl is a little more grounded than The Flash, this premiere establishes the show’s appropriately upbeat tone and sets up more than enough threads to explore across its first 13 episodes—and hopefully many more to come. Hands down the worst thing about this pilot is the abysmal opening info dump that establishes Kara’s backstory with all the finesse Supergirl later shows as she barrels through a semi-truck. In clunky voiceover that’s come to be a hallmark of The Flash and Arrow, Kara explains that although we may know the story of her famous cousin Kal-El a.k.a. Clark Kent a.k.a. Superman, we don’t know her story. With the destruction of Krypton imminent, Kara’s parents (Laura Benanti as Alura Zor-El and Robert Grant as Zor-El) send their 13-year-old daughter to Earth to act as a guardian for her infant cousin. Unfortunately her escape pod gets stuck in suspended animation in the Phantom Zone and she arrives on Earth 24 years too late. Since Kal is now a grown-up superhero no longer in need of protecting, Kara is sent to have a “human-type childhood” with scientists Eliza and Jeremiah Danvers (former Supergirl Helen Slater and former Superman Dean Cain) and their brilliant daughter Alex (Grey’s Anatomy’s Chyler Leigh). With that artless intro out of the way, the show jumps into the far more engaging and self-assured world of Kara’s “normal” life. She works at CatCo Worldwide Media as an assistant to media mogul Cat Grant (Calista Flockhart doing her best to channel Meryl Streep in The Devil Wears Prada). Her best friend is a lovelorn IT guy named Winn Schott (Jeremy Jordan, infinitely more appealing here than in his brooding turn on Smash) and Kara is instantly smitten with a newly hired Pulitzer Prize-winning photographer named James—not Jimmy—Olsen (Mehcad Brooks), who seems like he spends as much time at the gym as he does behind a camera. There’s a zippy energy to the scenes at CatCo that’s sorely missing in the show’s other main locale, the Department Of Extra-Normal Operations—a bland-looking covert agency that Alex secretly works for. The DEO’s main job is monitoring the giant alien prison called Fort Rozz that Kara accidentally brought with her on her journey from the Phantom Zone. Its convict population conveniently waited until Kara was all-grown up to do any bad-guying and now they’ll serve as her villains of the week for the foreseeable future. The DEO’s Hank Henshaw (Homeland’s David Harewood) is skeptical about Kara, but Alex convinces him that her sister is the right woman—excuse me, girl—for the job. The show is unquestionably strongest when it shows rather than explicates its feminism. A whopping seven scenes in this pilot pass the Bechdel test—a feat I’m not sure we’ve seen in any onscreen superhero property ever. Though it sketches out a fairly familiar arc about a superhero learning to accept her destiny, the pilot puts a unique spin on its origin story by tying Kara’s journey to two other women: Her mother and her sister. Though Kara originally claims it’s her choice to hide her powers from the world, it soon becomes clear that Alex has largely been pushing that choice on her. It’s not until her sister’s life is threatened that Kara finally decides to embrace her abilities and leap a tall building in a single bound to save her. That character-based motivation helps give the plane rescue sequence far more personality than Kara’s generic showdowns with Vartox later. Post-plane rescue, Kara is adorably exhilarated about being hailed a hero by the media (again, it’s so refreshing to see a superhero who actually likes using her powers! ), but Alex is quick to douse her excitement. As we later learn in the episode’s most emotional scene, Alex isn’t just an overprotective older sibling, she’s also jealous of her kid sister’s abilities. Thankfully she eventually realizes that holding Kara back isn’t the answer—the world needs Supergirl to fly. Few TV shows, let alone superhero ones, celebrate sisterhood, and it’s nice to see Supergirl build the Kara/Alex relationship right into its DNA. Alex is also the one who brings Kara a holographic message from another crucial female player: Kara’s mother Alura. While her cousin can only mourn his homeworld in the abstract, Kara actually spent the first 13 years of her life as a Kryptonian. The Clark/Jor-El relationship has always been a moving part of the Superman mythos even though father and son never really knew each another; so the fact that Kara was actually raised by the woman who can now only guide her from afar adds a ton of emotional resonance to the scene in which she watches Alura’s message. It’s when Supergirl isn’t desperately trying to prove its feminist credentials, that it effortlessly paints a portrait of female strength and solidarity. 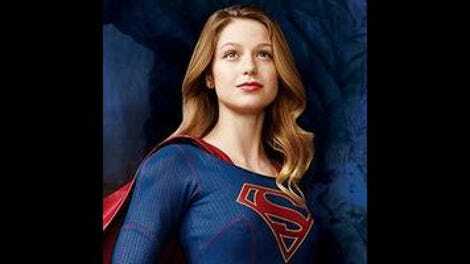 Welcome to weekly Supergirl coverage! My knowledge of all things DC is fairly limited so school me on details I miss in the comments. And feel free to chat with me about all things Supergirl over on Twitter. That said, I do know that tonight’s villain-of-the week, Vartox, is actually Superman’s superpowered ally in the comics. Not sure why he’s reimagined as a bad guy here. I’m jazzed about both Supergirl’s cute-but-practical outfit (#pantsforsuperheroes) and the flats Kara regularly wears in her everyday life. The fact that Supergirl gets so much right when it comes to creating an empowering female-led superhero series makes it even more glaring that there are no women of color in its main cast. So in this world Superman was 24-years-old when he revealed himself to the world, not 29 as he is in Man Of Steel. Interesting. One of The Flash’s most frustrating elements was its insistence on keeping its female romantic lead in the dark about Barry’s secret identity for an interminable amount of time. Thankfully by the end of this episode basically everyone but Cat knows that Kara is Supergirl. Our Big Bad is Alura’s twin sister, Astra, and she has it out for her niece. I don’t have too many thoughts on that so far, but I’m glad Laura Benanti will get to do more than just speak in platitudes via holographic projections. Nice to see Wicked is enjoying a successful run in National City.